Apple's decision not to include Thunderbolt in its super-slim 12-inch MacBook hasn't discouraged Intel from continuing the development of the high-speed connector technology. Intel will reveal the "next generation of Thunderbolt" at a press event to be held next month at the Computex trade show in Taipei, according to a press invite sent by the chip maker on Monday. Thunderbolt technology links computers to peripherals like external hard drives and displays, and can transfer data at faster speeds than USB. Thunderbolt ports are found in Macs and some Windows PCs. The latest version of Thunderbolt, version 2.0, can transfer data at speeds up to 20Mbps (bits per second), which is two times faster than the latest USB 3.1. Intel declined to provide additional details on the next-generation Thunderbolt connector. 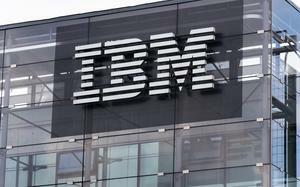 But the company has been actively working on a new chipset with more integrated components. 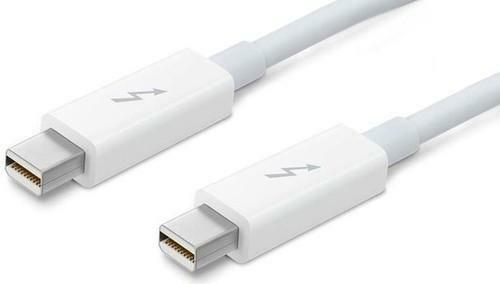 Products that support the next-generation Thunderbolt technology could also be announced at the June 1 event. The chip maker has also been researching ways to speed up Thunderbolt data transfers, and has said data transfers could reach up to 50Gbps with the help of its emerging silicon photonics technology. But Intel has insisted that current speeds of Thunderbolt 2.0 are adequate for most applications, and that it would release faster connectors only when the time was right. The need for a faster Thunderbolt connector could emerge with 8K video, which will be natively supported in Microsoft's upcoming Windows 10 OS. There are no 8K TVs yet, but a host of consumer electronics makers are backing the development of a new connector technology called SuperMHL, which will run through USB cables. There have also been questions around the future of Thunderbolt, particularly with Apple opting not to put it in the 12-inch MacBook. Thunderbolt peripherals are expensive, and many PC makers have shied away from the high costs associated with bringing the technology to Windows PCs. The Intel event at Computex will also cover USB Type-C 3.1, which is considered primary competition to Thunderbolt. USB Type-C has more versatility than Thunderbolt as it can recharge laptops and be a connector for a wide variety of peripherals. The Type-C cables also look the same on both ends, so users don't have to worry about plug orientation. But Intel, which is one of the lead developers of USB 3.1 at standard settings organization USB-IF, has insisted that Thunderbolt is complementary to USB. USB-IF officials earlier this year also suggested that it is possible to carry the Thunderbolt protocol on USB 3.1 copper and optical wires, an idea Intel hasn't dismissed.